What does “NYC storm zone 1” mean to me? 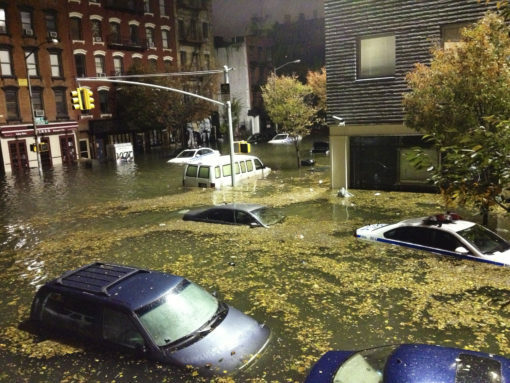 After Hurricane Sandy, New York City changed the way they labeled areas that were at-risk for flooding. So the old letter labels (A, B, C) were retired in favor of numbers in 2013. 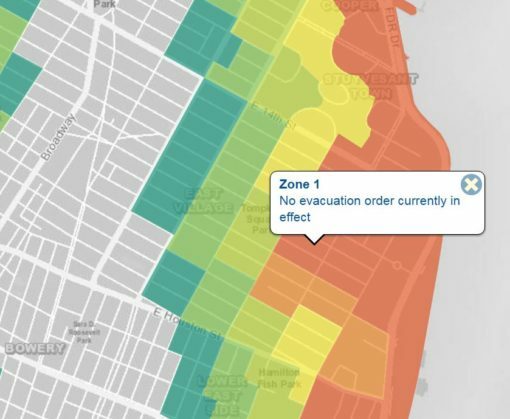 Now the city’s hurricane evacuation zones are numbered from 1-6 — ranked by the risk of the area being impacted negatively by a storm starting with Zone 1 being the highest-risk. So in other words being in “NYC storm zone 1” means that that particular address is in a zone that’s at the highest risk when a hurricane or tropical storm comes through the area and causes surging waters. And in the cataclysmic event where 19 storms came together like Sandy, those residents that find themselves in the affected zones will be ordered to evacuated by the city in the order of zones. Meaning you can always count on Zone 1 to be evacuated first then Zone 2, Zone 3 all the way to Zone 6 (it would have to be something apocalyptic to cause a Zone 6 evacuation). All New Yorkers should know which zone their homes, workplace and children’s schools fall so they can be best prepared when/if an evacuation scenario occurs. The best way to be prepared for the possibility of a hurricane evacuation is to #1 know your evacuation zone. That’s just the first step, so don’t stop there, plan out where your family’s safety destination will be and the travel routes to get there. Obviously, your travel routes and safety areas should not be in the impacted zones. To find out if you live in a hurricane evacuation zone, use the Hurricane Evacuation Zone Finder, or call 311. Zones are labeled 1, 2, 3, 4, 5, and 6 and color-coded the on a map. To find out what zone you’re in head to the NYC.gov’s Hurricane Evacuation Zone Finder. Just because you feel like you’re a safe distance form the coast, that doesn’t equate to being safe! The zones take into consideration several factors including proximity to water, but another critical factor is the elevation of your address. So for example, your apartment building might be in Zone 5 but your office a couple blocks away (if you’re so lucky) might be in Zone 5! Even when the DryLine/Big U is completed, New York City isn’t completely safe. It’s still important to know where you stand and how to prepare for the next crazy storm. 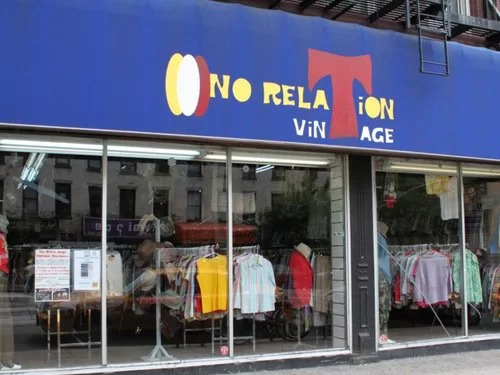 If you are visiting or live in New York City, you need to read this guide on etiquette Best of the East Village: No Relation Vintage Citi Bike Review: Is Citi Bike Worth $100? Hell Yes.